DIY tutorials are all the rage on the internet, what with the rise of Pinterest and the like. But hey, we're not complaining. Any excuse to get crafty and creative? We're on board. If you want to learn more about this adorable DIY project that turns your baby's old clothes into snuggly teddy bears, then follow along! DIY tutorials are all the rage on the internet, what with the rise of Pinterest and the like. But hey, we're not complaining. Any excuse to get crafty and creative? We're on board. 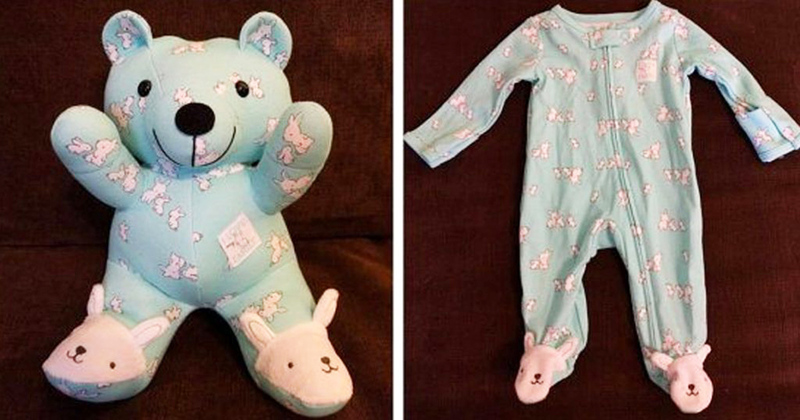 If you want to learn more about this adorable DIY project that turns your baby's old clothes into snuggly teddy bears, then follow along!